What a great way to celebrate our 80th anniversary! 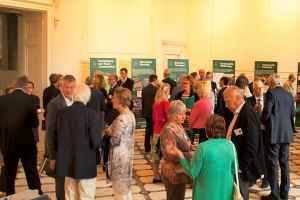 On 7th June, WRCC trustees, staff, volunteers and guests celebrated our 80th anniversary event in style at an early evening reception at Compton Verney. 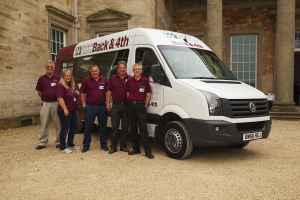 Guests enjoyed being transported to the event by Back & 4th’s comfortable community minibuses, before mingling over drinks and canapes in the stunning surroundings of the Adam Hall and Naples Gallery. 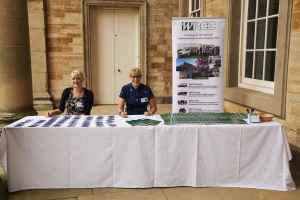 “A perfect way to showcase 80 years of supporting rural Warwickshire!” said Chris Cowcher, ACRE Community Manager. 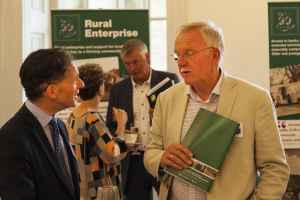 It was a great opportunity to share memories with old friends and welcome new faces, with everyone present sharing a common interest -caring for our rural communities and keeping our villages alive. 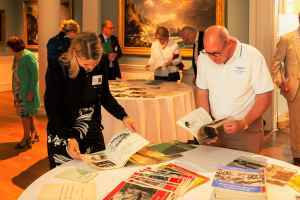 And the past was very much present as we opened up our archives to share highlights of our history from the late 1930s to the present day. Around the Adam Hall, images of tumbledown cottages contrasted with contemporary affordable housing developments. Rural crafts workers such as farriers and farmers featured alongside royalty including the Duke of Kent in 1938 and Queen Elizabeth II in 2002. Volunteers helping to run mobile cinemas in the war showed the same spirit as today’s volunteer drivers helping rural residents, young and old alike, to get out and about. In the adjoining Naples Gallery, there was a treasure trove of original documents from years gone by, as well as screens showing Our Farming Life with interviews and stories from a past way of life. During the short speeches, the Rev. 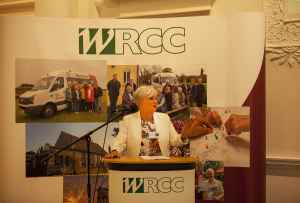 Viv Baldwin, WRCC’s Chair, welcomed guests and encouraged them to join with WRCC in our continuing mission to help build resilient and thriving communities. 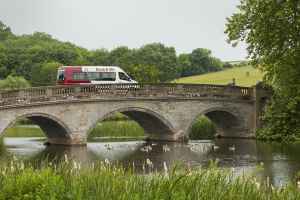 “You make such a difference on the ground for people living and working in rural Warwickshire, and I want to express my thanks for the work you do”. 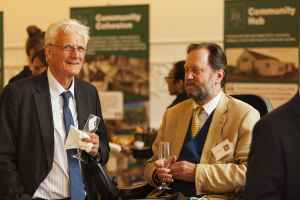 He thanked, in particular, the Leamington Spa Courier for their close partnership and support over many years and the Shakespeare Birthplace Trust for their archive expertise and support. “We’ve had a fantastic evening and we’re delighted to celebrate our successes with our guests here tonight, not forgetting of course other supporters who were unable to attend this evening. 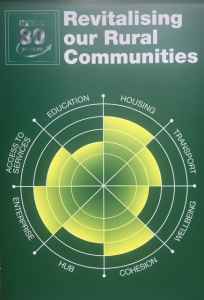 We’re looking ahead to achieving even more for rural communities in the next 80 years! And we now need your help. 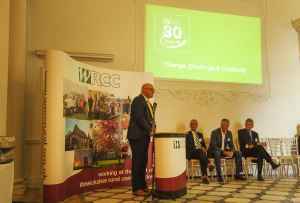 His comments were echoed by many other guests, who recognised WRCC’s achievement in surviving 80 years of change and challenge, and applauded the charity’s new call for action.